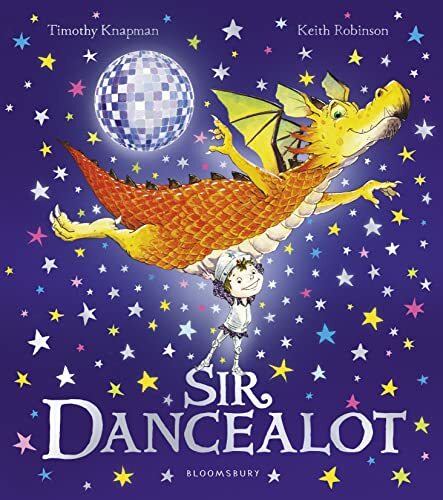 From jiving away trolls to boogying aside bogglesnots and bopping off beasties, there's not a fearsome foe Sir Dancealot can't defeat! But when a fire-breathing dragon arrives at the castle gates demanding a dance-off, everyone is worried. Could this be one step too far for our hero of the dance floor? 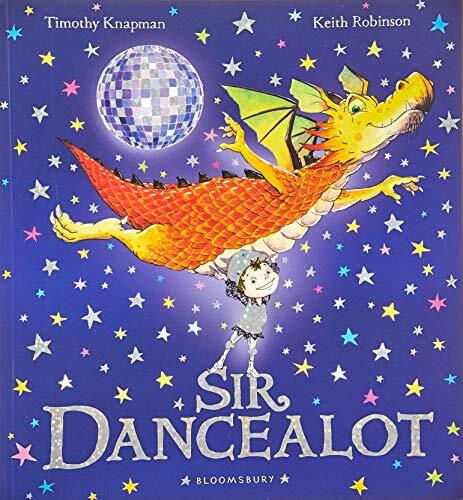 A hilarious story of sequinned clothes, dragon foes and twinkly toes. Timothy Knapman has written plays, opera libretti, song lyrics and children's books. Timothy's books, including the successful Mungo series (Puffin), have been translated into 12 languages. Keith Robinson joined the BBC as part of the team who created the Corporation's very first website. He later founded an award-winning media production. In 2001, Keith decided to move into freelance illustration. Keith lives near Lyme Regis.